CHICAGO (WLS) -- What we've seen this week in Texas has been unimaginable. Tropical Storm Harvey dumped record amounts of rainfall on the city of Houston, trapping people inside their homes and cars. Rescuers pulled thousands of people to safety. Many are now staying in one of the shelters set up across the state. Another key part of this story has been the volunteers who have gone to Texas to help. Among them, the volunteers of the Red Cross. 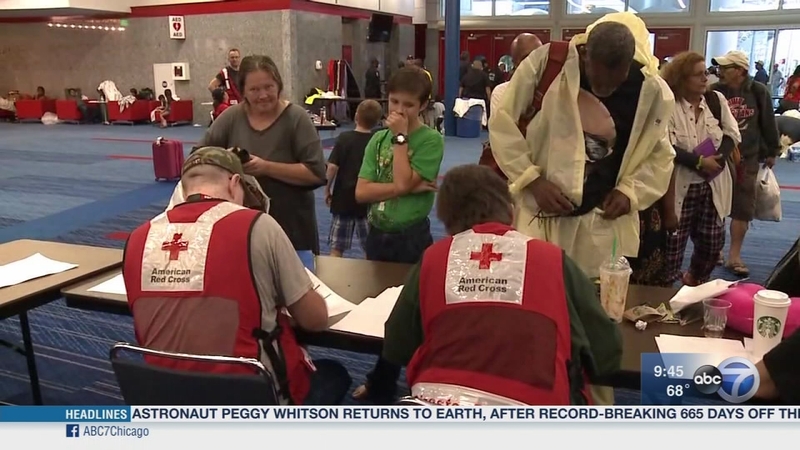 To discuss the response and how you can prepare for a disaster are Celena Roldan, CEO of the American Red Cross of Chicago and Northern Illinois and Harley Jones, the disaster officer with the Red Cross here in Chicago. What we've seen this week in Texas has been unimaginable.